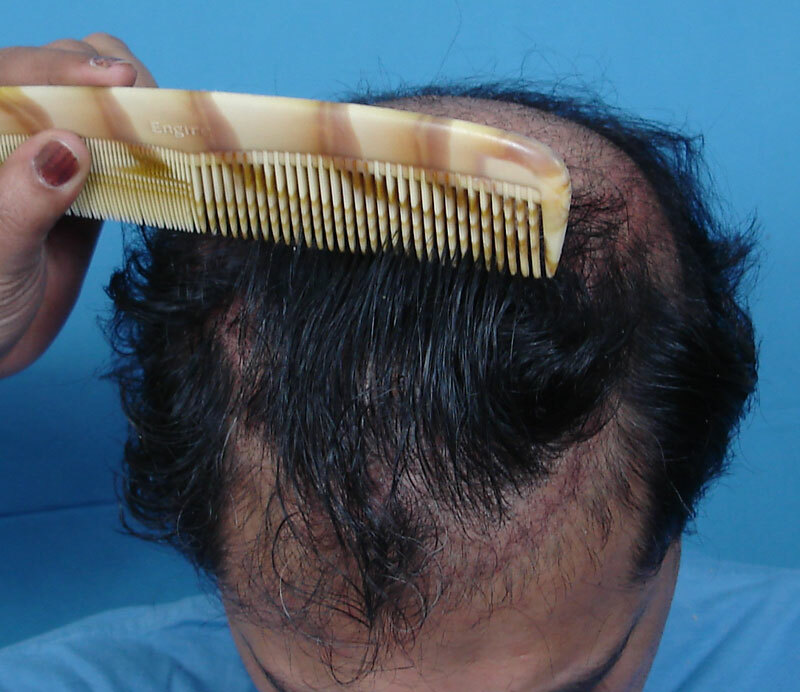 Many people wearing hair systems contemplate a solution to get rid of the hair system. 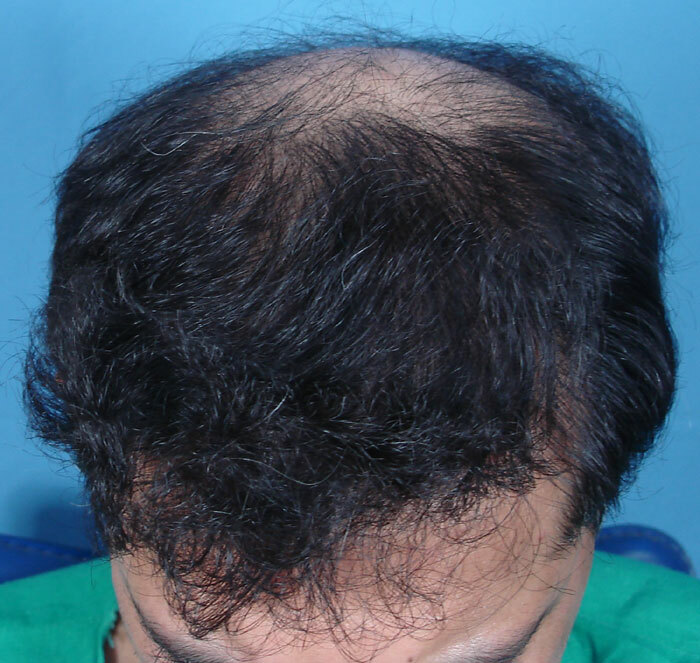 At the same time, they do not wish to settle for a thin hair density. They want an all weather, wet hair, dry hair, bad hair day, windy hair day proof HT. The patient discussed in this thread (nickname Alexander) is one such. He has been wearing a hair system for some years. There are many instructive details in his progress that I will like to share with you. But first the pictures and the particulars. 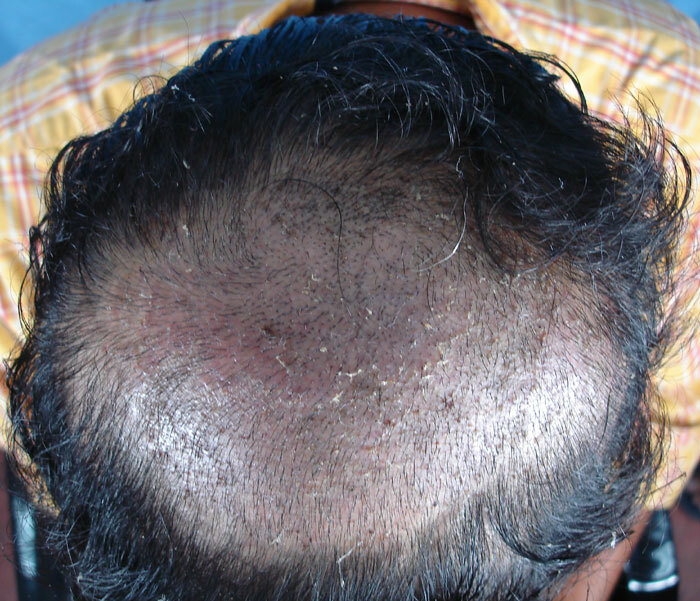 Patient has undergone 2 sessions of FUHT at our clinic. The first session was performed in Nov 2006. In Sept 2007 he underwent his second session. These pictures are from Nov 2006 and Sept 2007. Nov 2006 - 4000 grafts. Sept 2007 - 4330 grafts. The pictures below show the growth of the 4000 grafts transplanted in the first FUHT session. It looks dense enough in all situations (whether dry or wet hair, as well as in different hair styles). A picture of the bird’s eye/ top view in Sept 2007. Following are some additional pictures. Posting pictures at particular angles, specific hairstyles and dry hair do not show the honest picture. Therefore, I feel, its very important for the doctors/clinics to post the results in a wide variety of settings, such that it leaves nothing to imagination. 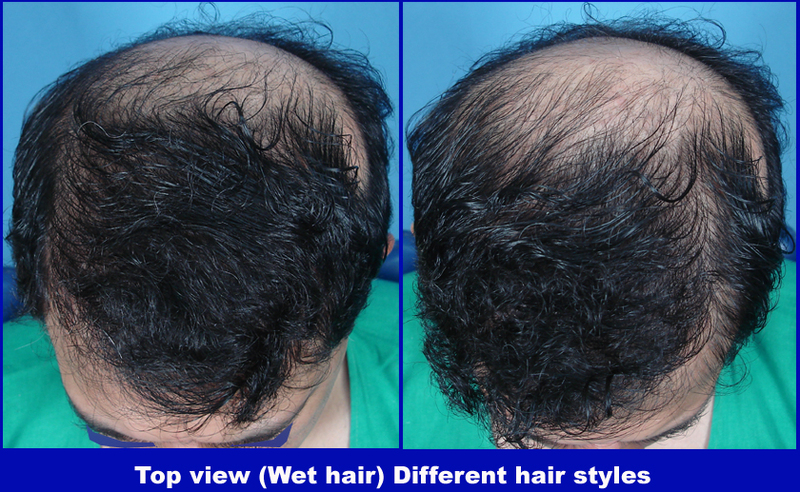 In this one, the hair have been wet and combed in different directions, to give an idea of the hair regrowth. In the natural world, you can end up in a drizzle when you are with your friends. I will post the video and then discuss specifics of this case. The following is a video taken in September 2007 before Alexander’s 2nd HT. He has been wearing the hairpiece, all these months, even over the transplanted area. The hair in the video are wet and being brushed in different ways to give a top, side, hairline and front views. The complete video has been split into 2 parts for sake of uploading. In 2006, when Alexander first came for his HT, there were the following considerations. 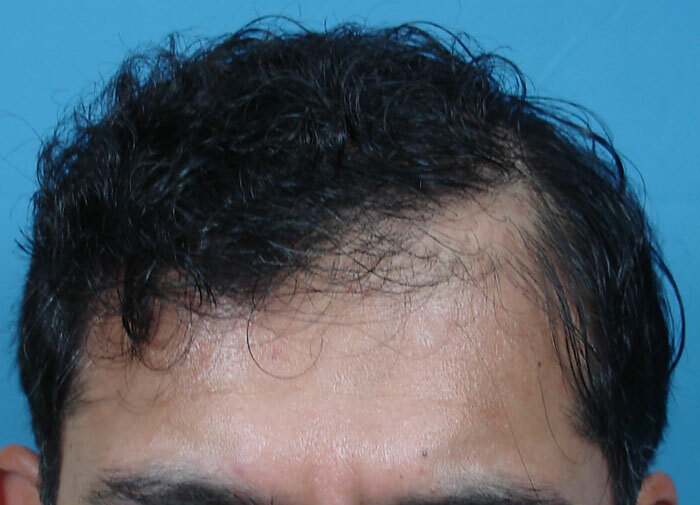 He has a remnant of his teenage hairline that lies low, especially on the left half of his forehead. He wished to keep wearing the hair piece. 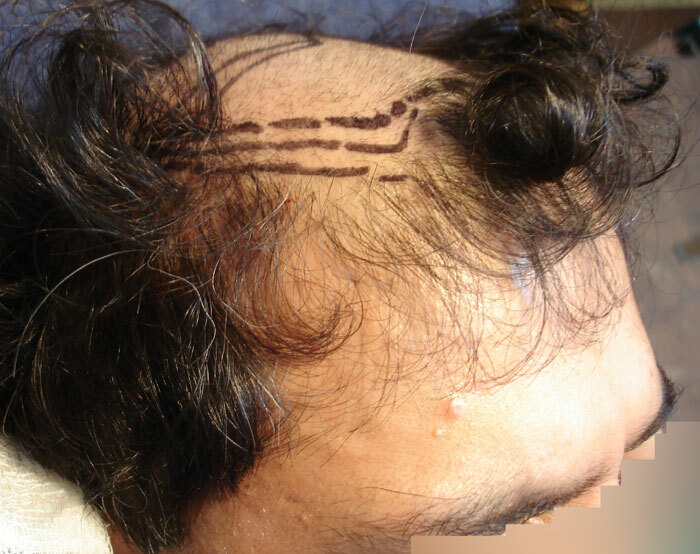 His hair piece requires placement of the tape in the existing hairline remnant. Any further lowering of the hair piece looked too unnatural. Therefore, it was decided to make the new hairline higher up. 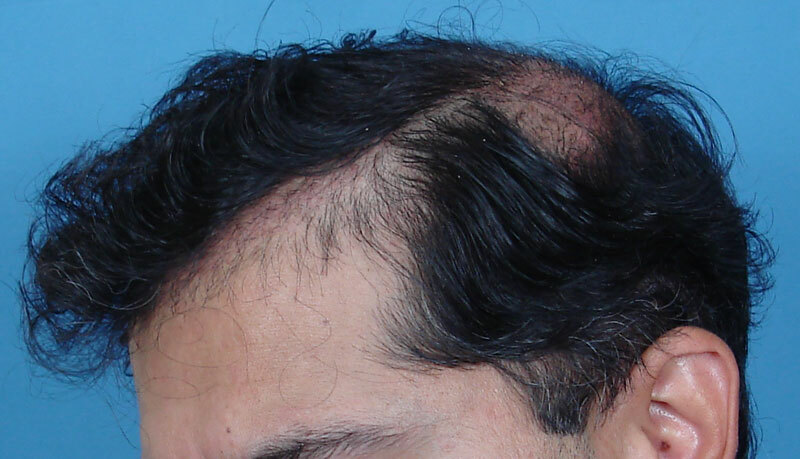 The decision on what to do with the lower hairline remnant was left for future, at the patient’s choice. However, following advise, Alexander started wearing the hair piece less tightly. 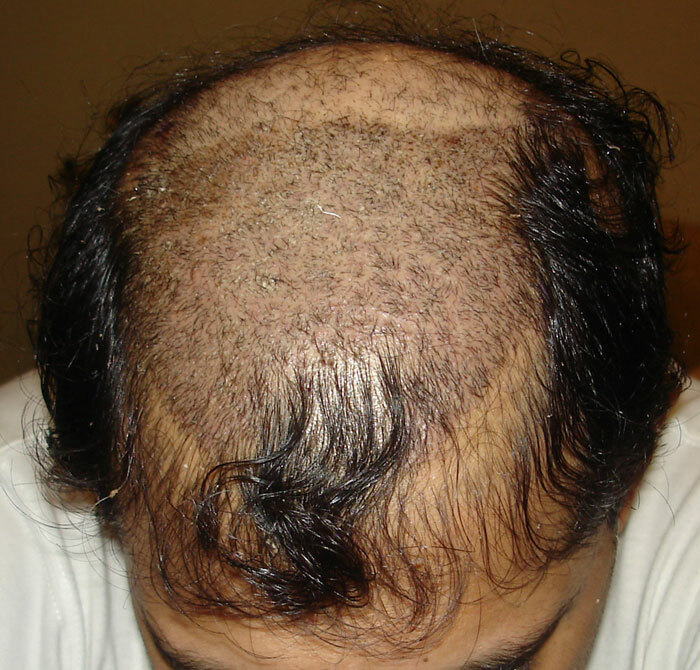 Previously, the hairpiece fixation (by the clips) had led to hairloss due to traction alopecia as can be seen in the picture below. The next picture was taken a week after the completion of Alexander’s first HT. This shows the graft placement and what the recipient area looks like at 1 week after the procedure. Great work Dr. A but I really do not like this approach leaving the crown untouched but… it’s the patients choice. I do think that 8000 graft is a lot for the area covered (160cm2??) although that only adds up to 50fue/cm2 so maybe it makes sence. Are those figures about right?. » so maybe it makes sence. Are those figures about right?. to cover one area densely. Then we can cover the remaining area at a later date. We prefer the latter approach. The same was done in Alexander’s case. 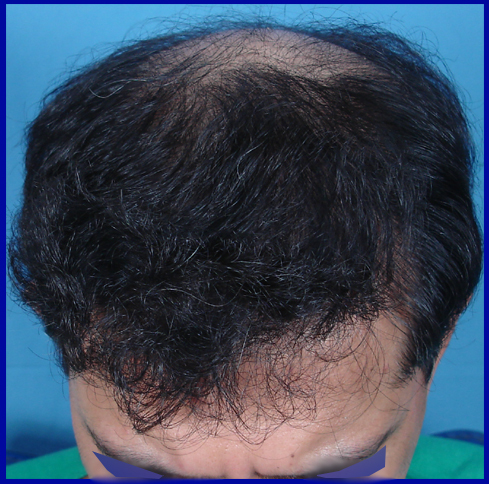 The first 4000 grafts covered the frontal areas. 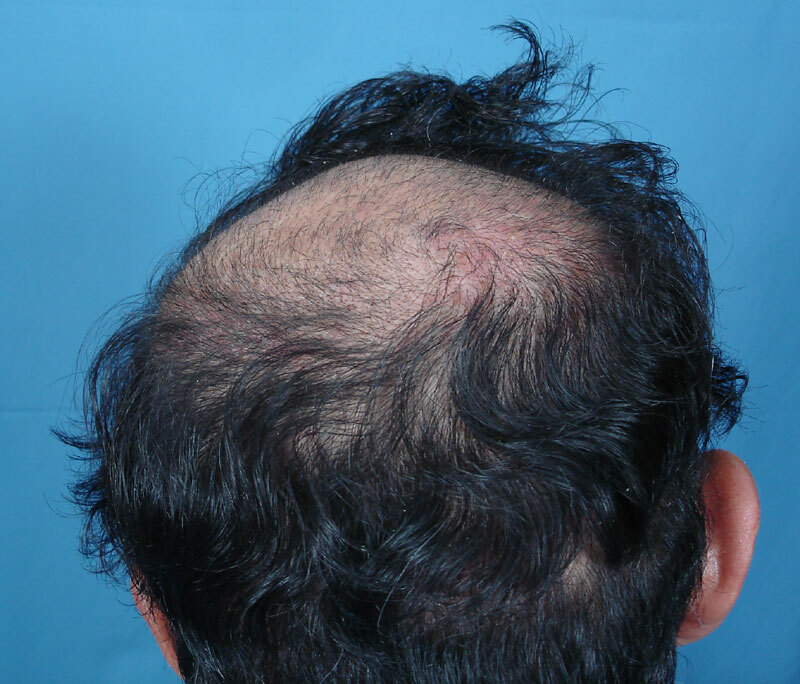 we did not need to buzz cut the previous growing transplanted hair to attempt any transplants in there. Following are some pictures taken pre operatively in Sept 2007. 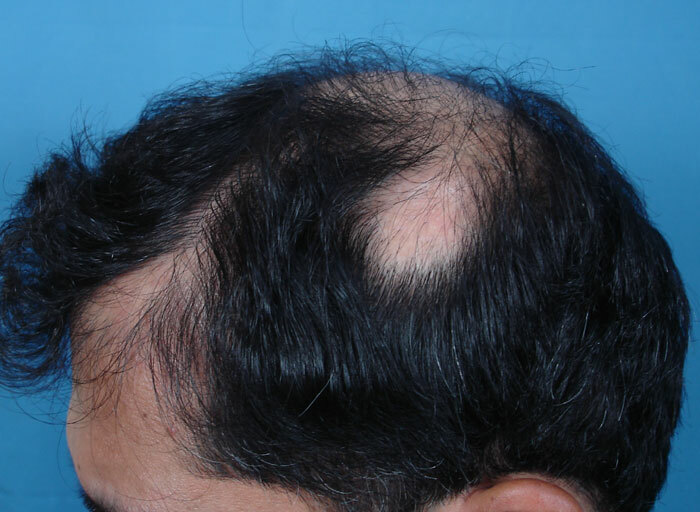 Hair combed to side to show the low hairline remnant that Alexander still has. 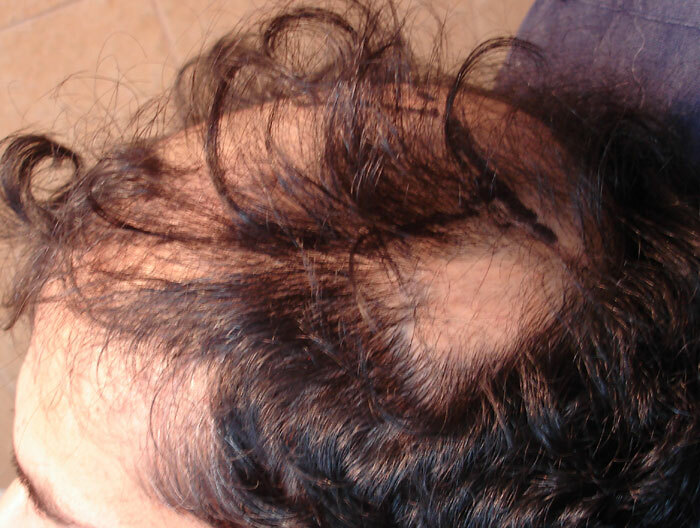 And the patch of traction alopecia that has not widened and will be treated this time. » » so maybe it makes sence. Are those figures about right?. » - to cover one area densely. » Then we can cover the remaining area at a later date. » We prefer the latter approach. » The same was done in Alexander’s case. 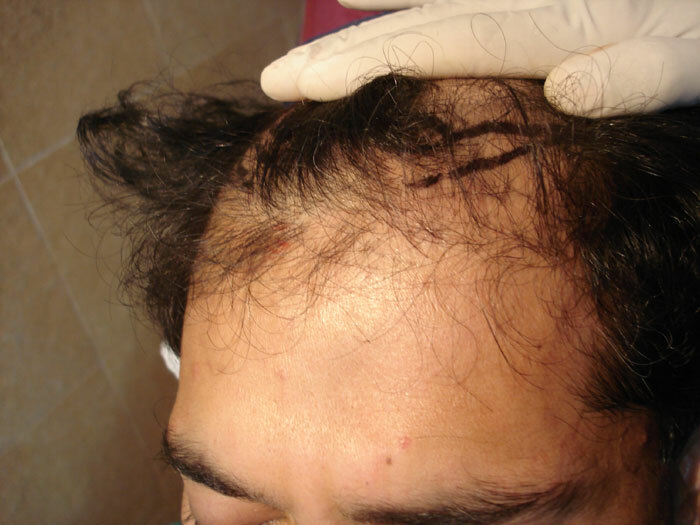 » The first 4000 grafts covered the frontal areas. » The second procedure carried out in Sept 2007, addressed the crown area. » attempt any transplants in there. OH, the imppresion was that the 8000 covered the frontal area. The title says 8000 at 10 months. These pics don’t seem to show the post op pics of the crown placement. I think a few of us are confussed by this one. 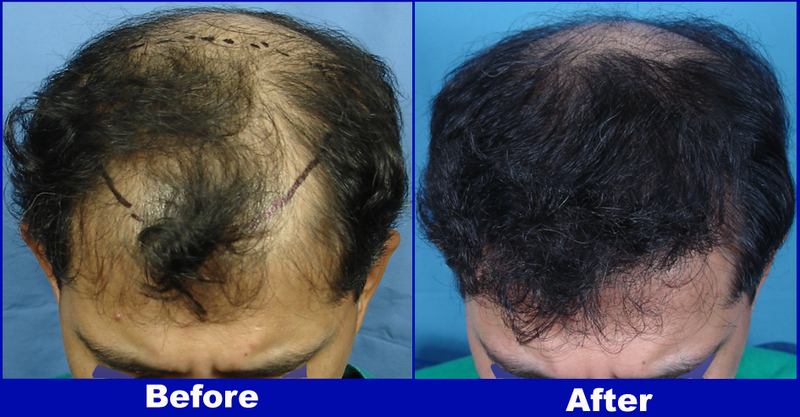 The 2nd FUHT procedure, yielded 4330 grafts. 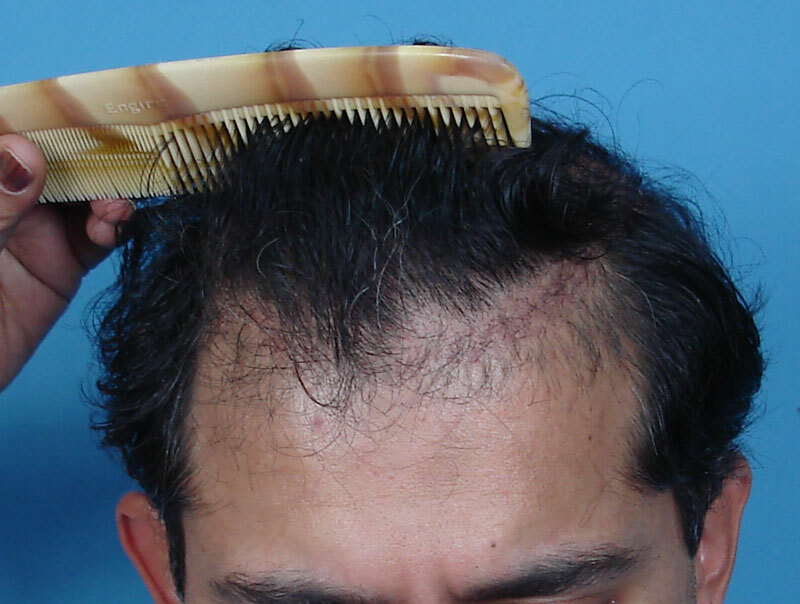 Its important to note that the increased graft count in the 2nd HT can be attributed to the scalp donor area stretching exercises that Alexander carried out regularly. 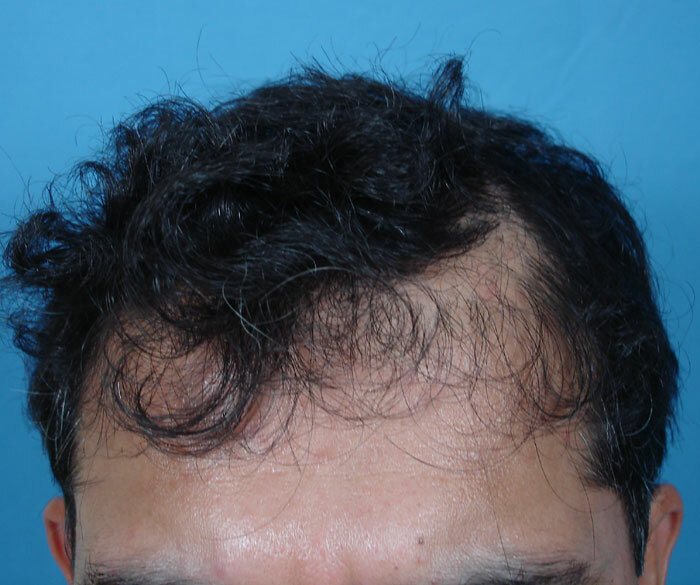 These grafts were transplanted in the crown, in the area of traction alopecia and to lower the hairline bringing it more in synch with the lower hair line remanants. 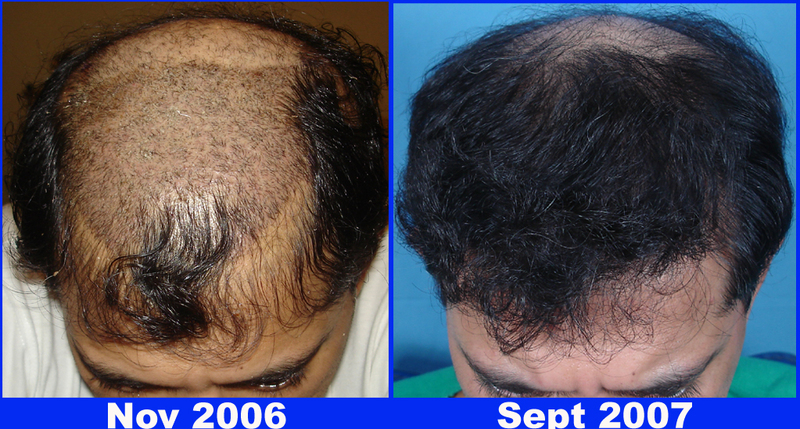 The following pictures, taken 7 days after the 2nd FUHT illustrate these grafts and their placement. » the crown placement. I think a few of us are confussed by this one. I think I should have been more explicitly clear. Alexander underwent 2 HTs in a period of 10 months. 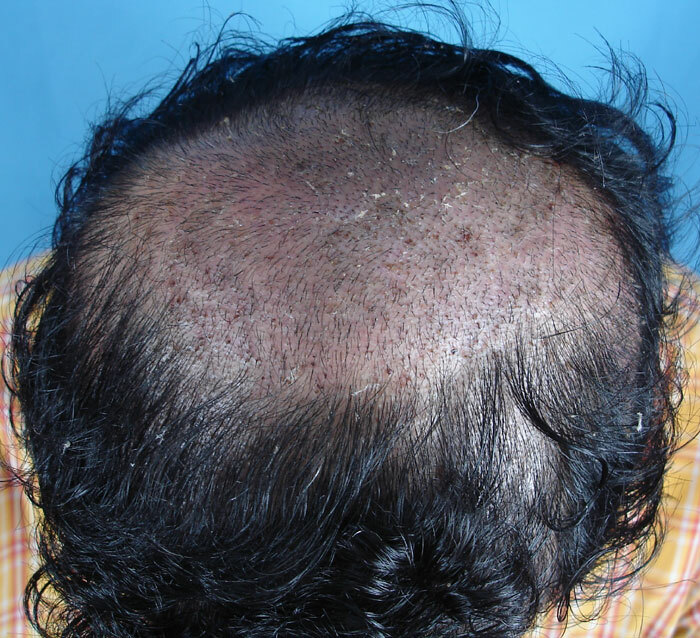 The first one addressed the frontal areas and 4000 grafts were transplanted. 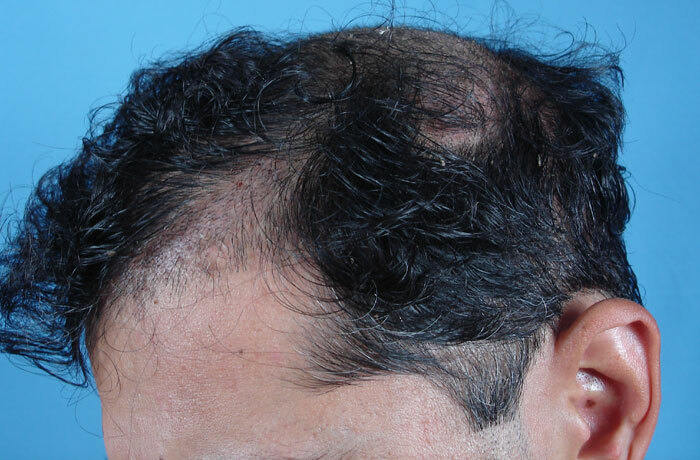 His present update shows the situation at 10 months from the first 4000 graft HT. 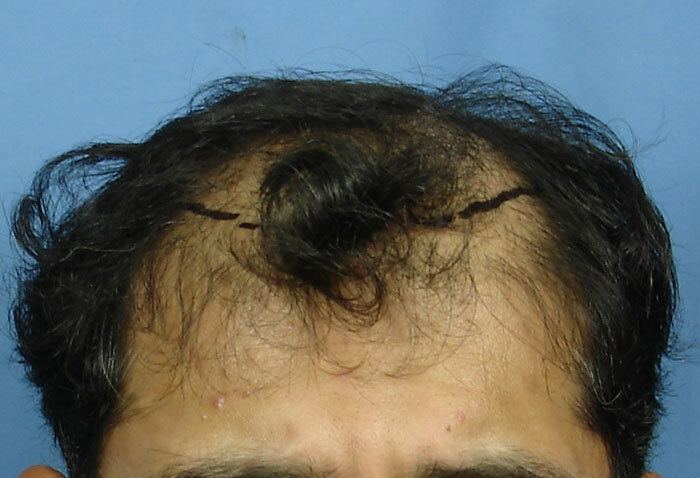 It also shows his 2nd HT (4330 grafts) placement. We hope to be able to share his further updates. Do you have pics of the donor area after the surgery? Were the donor units taken as a strip or as FUE? 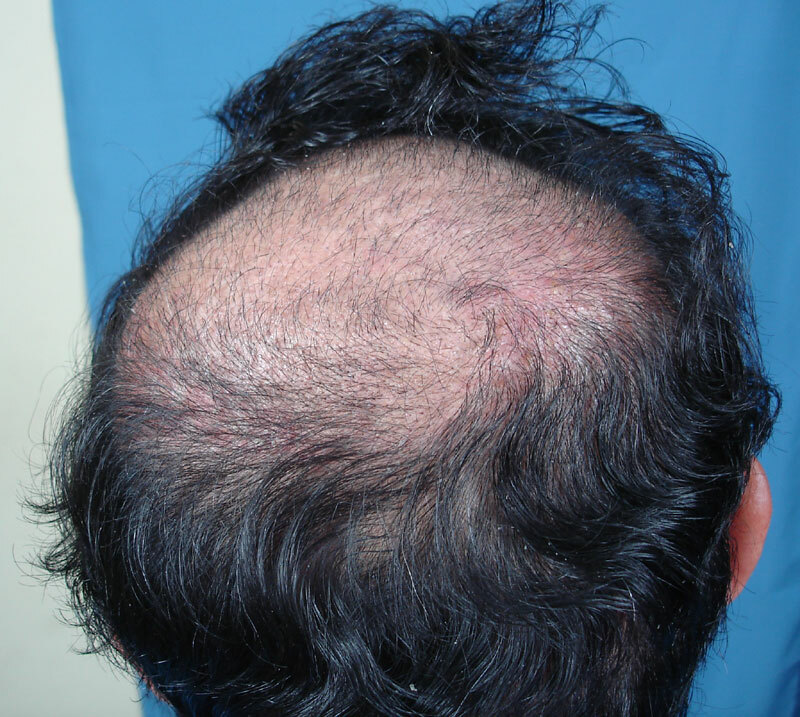 » At the same time, they do not wish to settle for a thin hair density. » The patient discussed in this thread (nickname Alexander) is one such. » He has been wearing a hair system for some years. » But first the pictures and the particulars. » Patient has undergone 2 sessions of FUHT at our clinic. » The first session was performed in Nov 2006. » In Sept 2007 he underwent his second session. » These pictures are from Nov 2006 and Sept 2007. » Nov 2006 - 4000 grafts. » Sept 2007 - 4330 grafts. » well as in different hair styles). » A picture of the bird’s eye/ top view in Sept 2007. » » the crown placement. I think a few of us are confussed by this one. » I think I should have been more explicitly clear. » Alexander underwent 2 HTs in a period of 10 months. » graft HT. 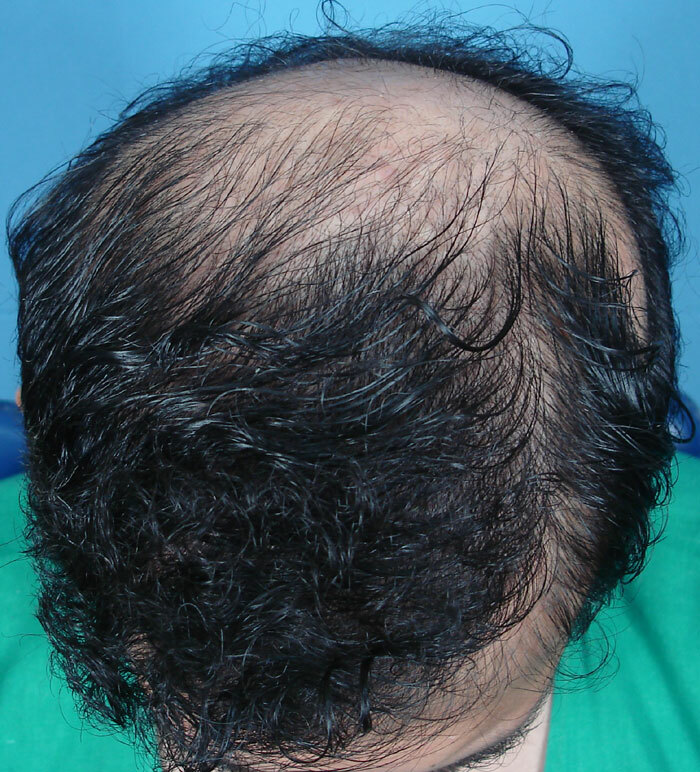 It also shows his 2nd HT (4330 grafts) placement. » We hope to be able to share his further updates. Well, that’s a great looking HT then. This guy does have good caliblre hair though but I now understand the approach. I still don’t think one could get 8000 with FUSE/FUE. I would certainly consider having HT with your clinic. This is a video of the donor area taken in Sept 2007. The hair have been buzz cut in the area from where the previous strip was taken (in Nov 2006), and the 2nd one will be taken, to clearly show the area. Thank you for always making a conscious effort to post video results along with still images. I can speak for everyone that we appreciate your efforts. » that we appreciate your efforts. nice improvement this guy must be thrilled. He should go for another session now to fill in the crown. I think this will be as good a strip result as I have seen. The donor looks excelent as far as I can tell.